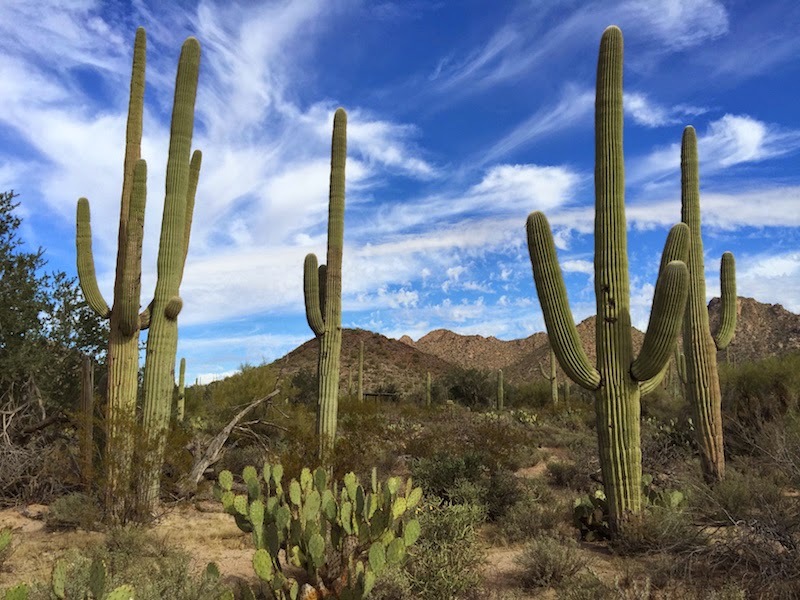 I drove to the Saguaro National Park in Tucson last week and enjoyed a day hiking among the giant cactus. More about my day and pictures after the break. Last week, after my huge breakfast at Omar's Hi-Way Chef (read my full review with pictures), I wanted to take a walk to work off some of the carbs. I checked in the the book I received from my daughter for my birthday, National Geographic's Guide to Scenic Highways and Byways, which maps out the drive to the Saguaro National Park. It's surprising how quickly you leave the city of Tucson and start climbing up the hills and into the mountains. In no time at all, you've left the city and are driving the twisting roads towards the cactus. The first stop at a new park for me is always the visitor center, where I picked up a map and spoke with a ranger who suggested which walks and hikes would be good for me. It costs ten dollars for a car to take the scenic drive through the national park. The scenic drive takes you past several hikes. All the ones I took were less than a mile each. 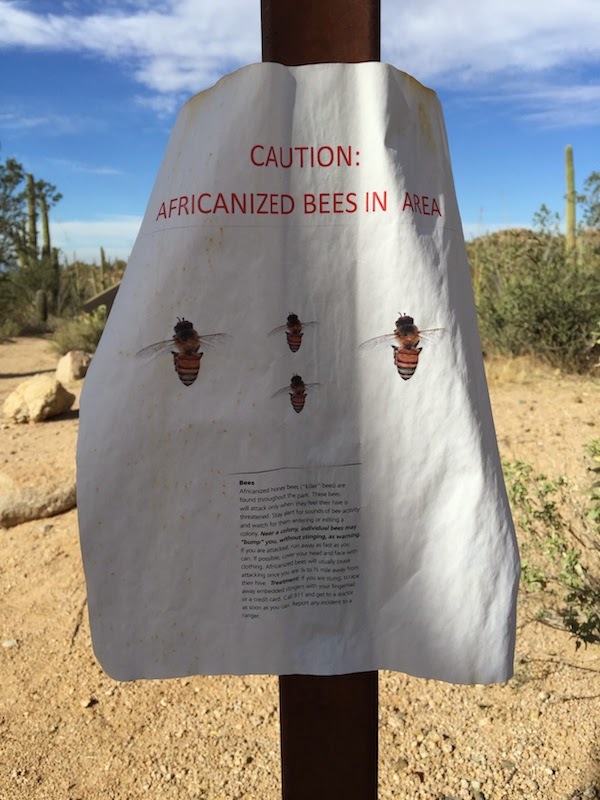 The first hike was flat and took me among the saguaro and prickly pear cactus. 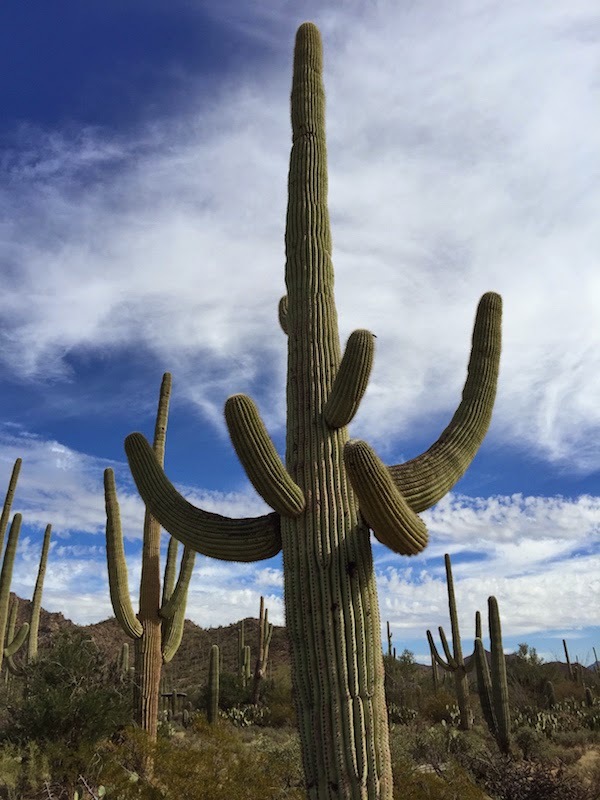 Saguaro are the cactus which sometimes look like cartoon characters with big balloon arms and bodies. And some of them are well over twenty feet tall. Very impressive. The second hike took me to the lip of the valley and afforded a spectacular view down from the side of the mountain. The last hike took me up to the side of a mountain where petroglyphs were carved hundreds to thousands of years ago by the Native Americans. You can walk right up to them, almost close enough to touch them. 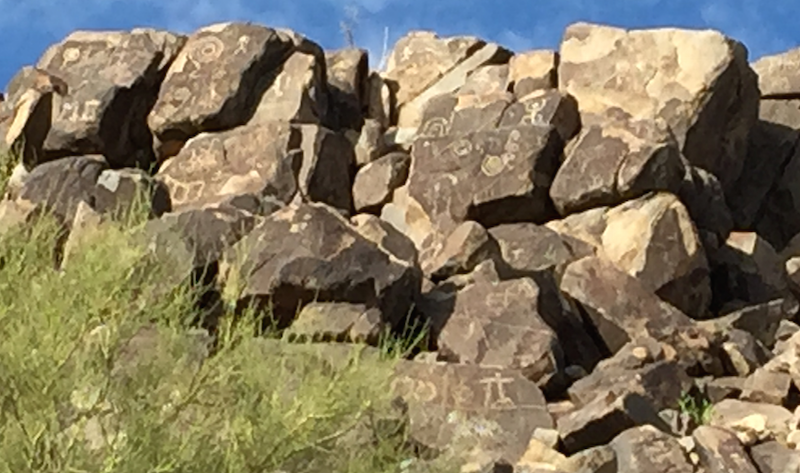 According to the signs, no one is sure exactly what the petroglyphs represent. They might be religious artwork, astronomical maps, or simply graffiti. Part of the drive is on gravel, but any passenger car can drive it, albeit a little slowly. 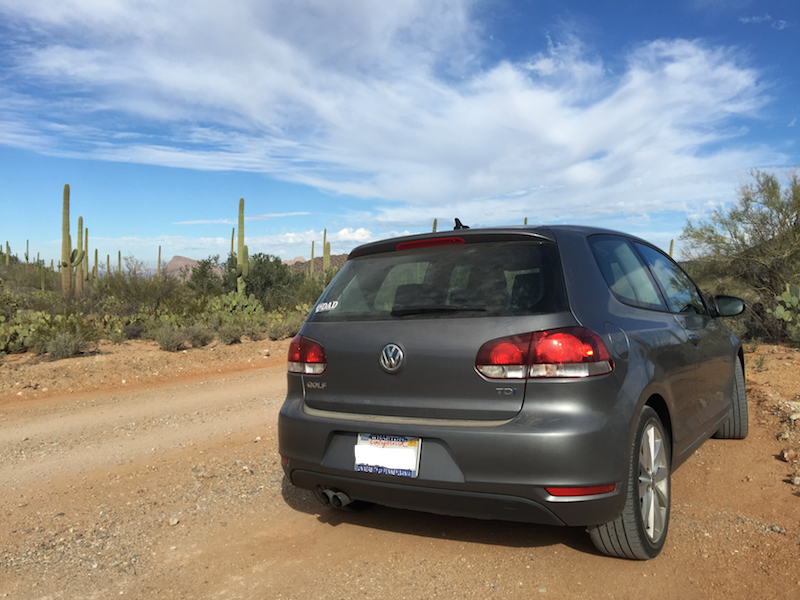 I've got a small car with low-profile tires, and I had no problems with the drive. Altogether, the drive and hikes took somewhere between two and three hours. 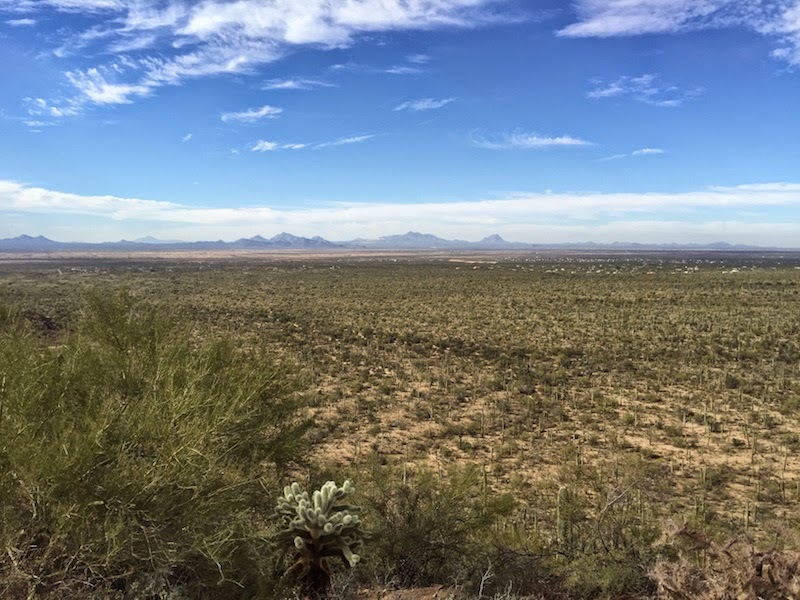 It felt like exactly the right amount of driving and hiking: not too strenuous, but long enough to get me ready for a late lunch at El Guero Canelo (read my full review with pictures of El Guero Canelo). I enjoyed the drive so much, the next day I took the scenic drive up to Mt. Lemmon (on the other side of Tucson). And I put this drive on my Best of 2014 list.